I met Caroline Munro and got a signed photo because why wouldn’t you? I then got that nice Mr Baker to sign it and even thought I gave him a card with my name on it I don’t think he had his glasses with him. Anyone know a cult couple called Emma and Eamonn? Glenn Fabry accidentally signed my comic to Glenn Fabry, then crossed it out, put my name, and then added in brackets "I'm going mad!" If my estate don't want it then they can bury it with me. I am the proud owner of the only unsigned copy of the comic Turning Tiger that is known to exist. I treasure it. 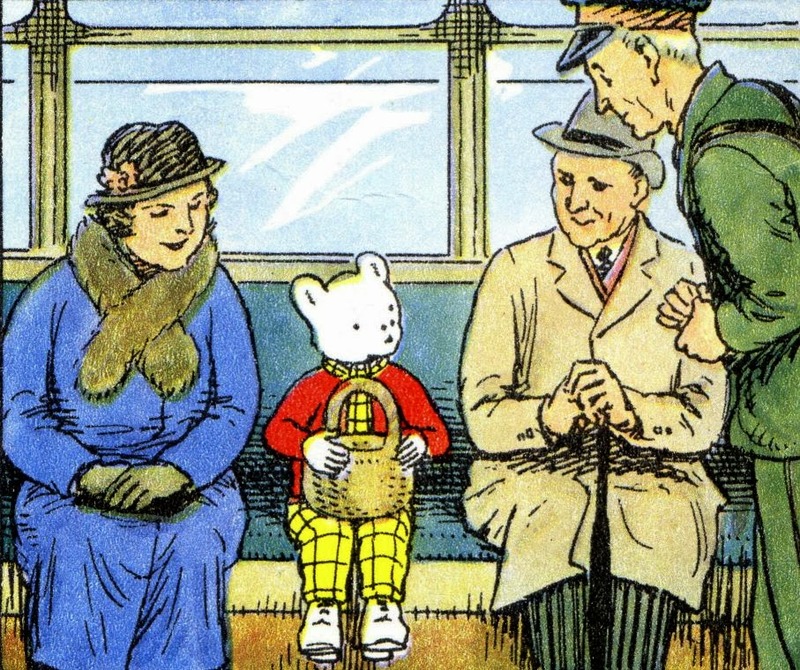 when Brett signs 'For Rupert Bear'. when Brett signs 'For Rupert Roland Bear'. I generally (like the prevailing opinion in this thread) like to get stuff signed when I meet an author or artist, as its got a story to it. I have one graphic novel signed and as he (I forget who it was) was signing it he got distracted. He had written "To Rich, Get..." and looked at me and said "I totally forgot what I was going to write next!". I joked "As long as its not "Get bent! I am fine!" So now I have a copy of a graphic novel signed "To Rich, Get Bent!". I've got a DVD copy of the Exorcist signed by William Peter Blatty and Mark Kermode. Kermode signed it to someone else because he was trying to buy my copy of Twinkle Twinkle Killer Kane off me at the time which I had brought to be signed by Blatty and he did not have a copy. He signed it; "Sorry for the schmuck".